On the limestone hills of Reggio Emilia lie our 35 hectares of vineyards, which today, thanks to the conversion from traditional cultivation to organic cultivation, which took three years, can boast the title of organic crops. This particular cultivation system, combined with the great passion of our winemakers, has led to the enhancement of autochthonous vines like Lambrusco Doc, Malbo Gentile, Spergola, to include international vines such as Cabernet Sauvignon, Chardonnay, Pinot and Sauvignon. In order to achieve and maintain a high level of quality, we monitor the vines at every phenological stage and throughout the entire production cycle, from pressing to bottling. Our grapes are collected and selected exclusively within the Ferrarini Estates, where the entire wine production process takes place. Our winemakers directly oversee every step of the process. The Ferrarini Estates’ vineyards are located in a particularly fertile and favourable location, extending over an area of more than 35 hectares (86 acres), immersed in the hills of Emilia, within a DOC (Denominazione di Origine Controllata – ‘Controlled Designation of Origin’) region — the Scandiano and Canossa hills. The vines are positioned in the best terroirs, on plots of land created by the decomposition of gypsum, at 350 metres above sea level. Thanks to these soil and climate conditions, we are able to produce wines which are particularly aromatic and unique. Organic farming requires cultivation techniques and the use of particularly complex and accurate technologies. To monitor in real time, and to predict climate change, weather stations are essential and this constant control allows us to reduce any treatments to a minimum. On the other hand for the defence of the plants from fungi and mould naturally derived products based on copper, sulphur or natural preparations based on algae are used to induce plant self-defence mechanisms; thus totally eliminating synthetic chemicals. Weeding and desiccants are forbidden; spontaneous grass growing is mechanically managed with frequent cutting increasing the organic matter content in the soil. From the 2017 harvest, the wines from the Ferrarini Estates, such as Lambrusco DOC, the Vara Chardonnay, the Sauvignon are all organic. However, in order to savour all our wines with a biological denomination, such as Cabernet Sauvignon, Vara Perlage, Cabernet Reserve without sulphites, Cabernet Reserve and Passito Vigna delle Suore we must wait for their natural aging in our cellars. Would you like to try our wines in the comfort of your own home? With Ferrarini, all it takes is one click! Sulphites are preservatives which have an antiseptic and antioxidant effect. No wine is truly free from sulphites, in that they are all products, in one way or another, of fermentation. Within the limits of the relevant regulations, there is a great deal of variety in the quantity of preservatives added, depending on the type of wine and the cellar which produces it. Ferrarini uses a quantity which is far inferior to the limits established by law (for white wines 80-100 mg/l compared to 200 mg/l and for red wines 50-70 mg/l compared to 150 mg/l). Indeed, good wine-making can allow a significant reduction in the amount of sulphites. What does ‘native vines’ mean? The term ‘native’ refers to a variety of grape that grew and has evolved in a specific geographic location, and has adapted to the local area to the extent that it has blended with the land itself. 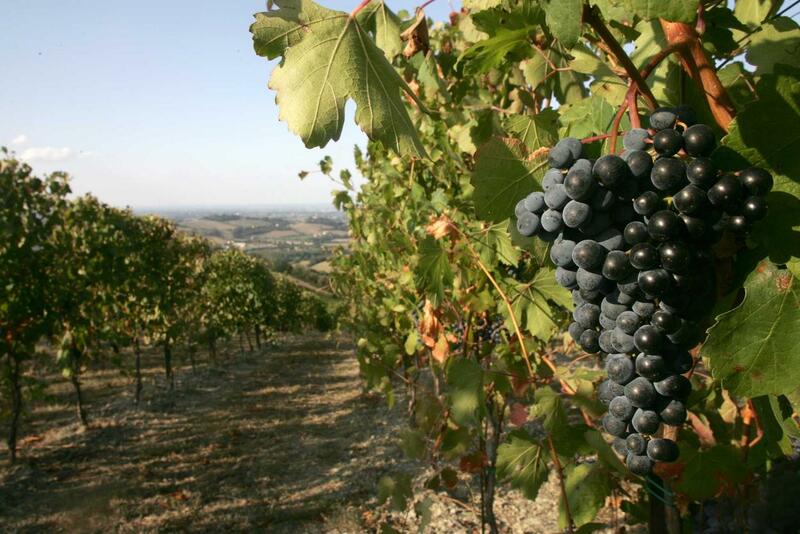 The Vino Novello is the first wine of a certain vintage obtained from grapes which have just been harvested in the Ferrarini Estates within the Emilian hills. The label “novello”, made statutory by a decree in 1992, is reserved for wines produced through the technique of carbonic maceration, before being bottled and sold immediately after the harvest, from the beginning of November up to no later than December 31 of that same year.This type of wine is characterised by its fruity and fresh flavour. ‘DOC’, a guarantee of origin? ‘Denominazione di Orgine Controllata’ or ‘Controlled Designation of Origin’, known by the acronym DOC, is an Italian label used in wine making. When attached to a wine, it certifies the original area in which the grapes used to produce it were picked. The label is an indication of quality and prestige; wines labelled DOC are linked to their natural environment and human factors, as they follow a specific method of production approved officially by ministerial decree. A straw wine from Emilia? Our vineyards, thanks to their fantastic positioning, are constantly exposed to sunlight, which means that our grapes mature brilliantly and are rich in sugars. The grapes are picked by hand and left to dry in a ‘fruttaio’, a special, naturally-ventilated room with no humidity. This means that while the bunches dry, the sugars become concentrated in the fruit. Ferrarini Passito (‘straw wine’) has a classic gold colour with traces of amber, with an almost brilliant sparkle and a dense and rich consistency. This wine goes perfectly with dry pastries, marzipan sweets and apricot tart as well as Stilton and spicy Gorgonzola tarts. Our Lambrusco Cà del Lupo wine is highly recommended as an accompaniment to ‘il carrello dei bolliti’ a traditional dish from Emilia of extremely long-cooked meats, served with a green parsley sauce and a red vegetable sauce. This type of wine also goes well with tomatoes and peppers stuffed with meat, spit-roasted meat and roasted piglet. The wine is best served at a temperature of 14°C, and paired with traditional pasta dishes from Emilia, such as ‘tortelli all’erbetta’ (pasta filled with herbs), ‘cappelletti in brodo’ (hat-shaped pasta in broth) and ‘tortelli di zucca’ (pasta filled with squash).